This is Dream and Tom-Tom, just two of the many resident livestock that make this place so special. We started this business over 18 years ago with a few products and a big dream. The recipes were created through providing guests at our Ranch wholesome, tasty, nutritious meals - both in the dining room and on the trail - during pack trips into the wilderness, and for cattle and horse drives! Since then, we've created hundreds of products, won awards for our Deep-Pit Seasoning and Indian Fry Bread, and continue to develop meaningful and tasty new items for our customers. We are located at our Ranch just outside of Kalispell, Montana called the Lonesome Dove Guest Ranch. We are a real working guest ranch and would love to have you stop by for a visit! 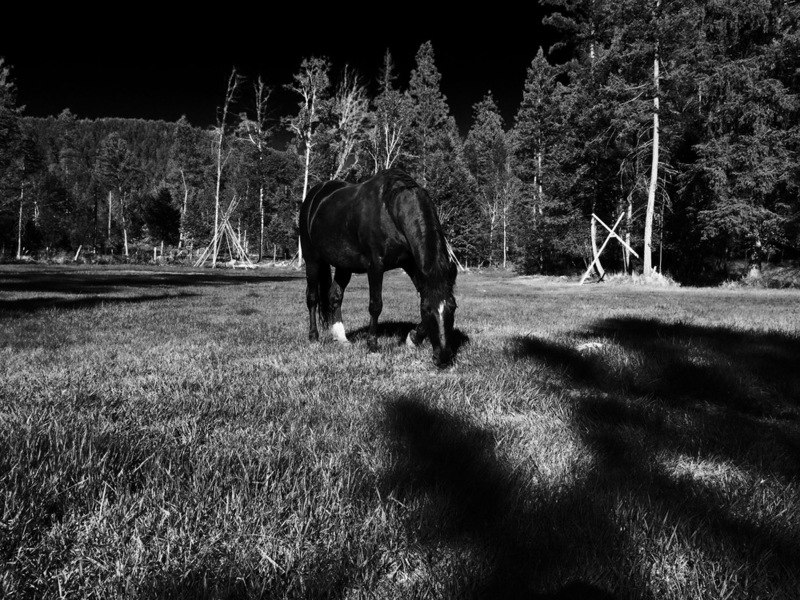 We are a Bed & Breakfast and offer incredible trail rides and a wonderful Montana experience! All the product photos you see were taken by our good friend Kathy Sullivan all around our ranch. Those are our horses, grounds, and - of course - our delicious products! Yup, it's a lot of work taking care of the Ranch and making this delicious food, but we LOVE it! Each product is put together at the Ranch at the time of your order! The bags are hand-sewn, the ingredients are measured out just right, and the finishing touches are all done by hand - from tying ribbons, placing the labels, and wrapping your product. We are a small, very hard-working bunch of Montanans!